Pronounced (sit-a-co-rum). 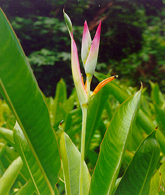 A small and narrow flower compared to the Heliconia that has bird beak-like features. 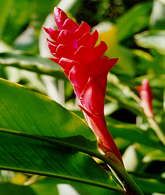 The flower adds an accent to arrangements with its long stem and beautiful colors. 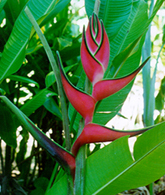 This claw looking flower comes in a variety of colors and textures. 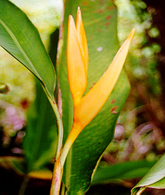 The colors range from solid yellow to a mixture. The textures may range from fuzzy to smooth and waxy. 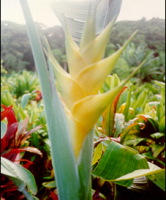 Believe it or not, this flower is a relative of the banana. 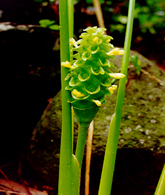 These varieties of different flowers are unusual and rare. They can look like a beehive or grains of wheat. 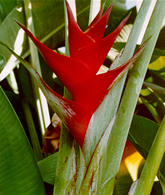 Depending on the time of year, you can be visually treated to a wide range of unique flowers. Yes, like the root used in cooking. 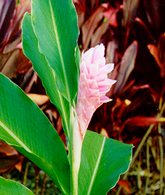 This flower is very common among the world's tropical areas. 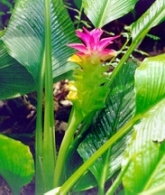 The main colors of this flower are red and pink.